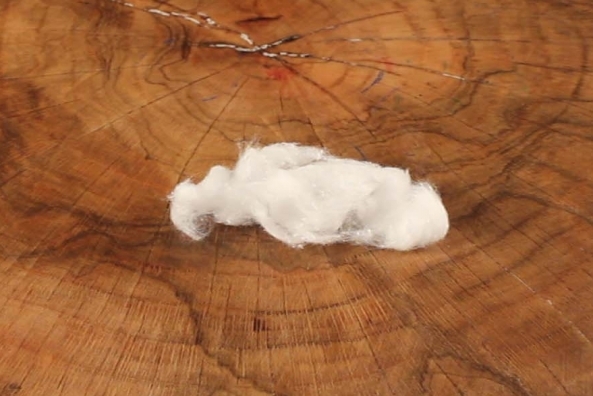 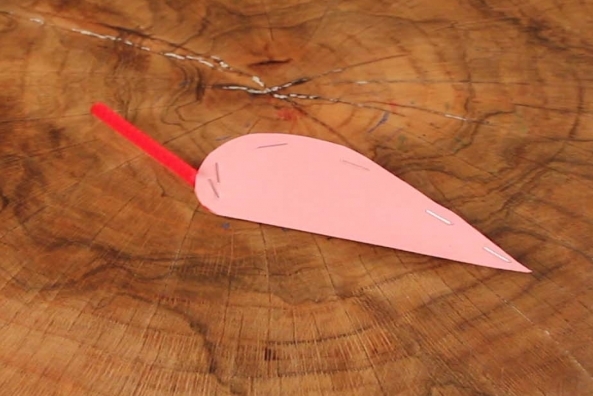 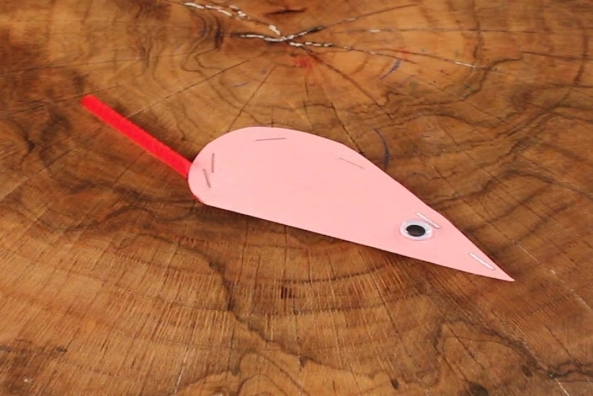 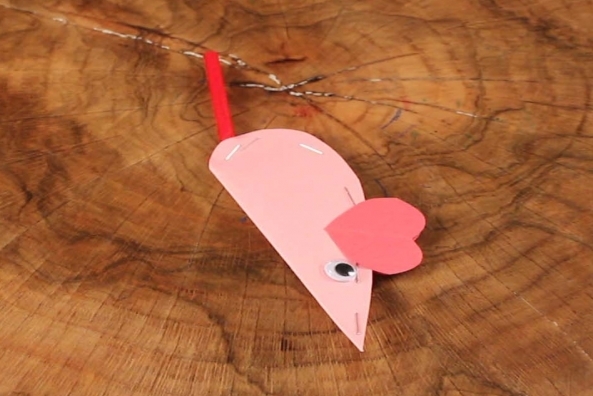 With construction paper, cotton balls and pipe cleaners you can make a mouse entirely out of hearts! 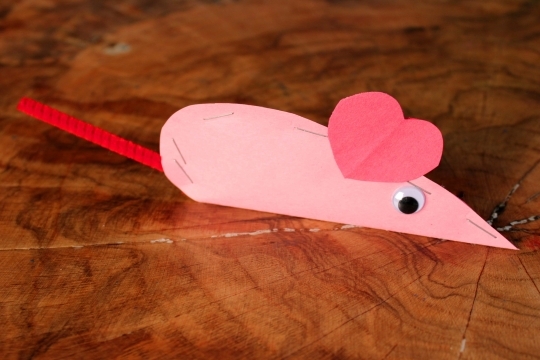 Join these mice as they deliver greetings of love. 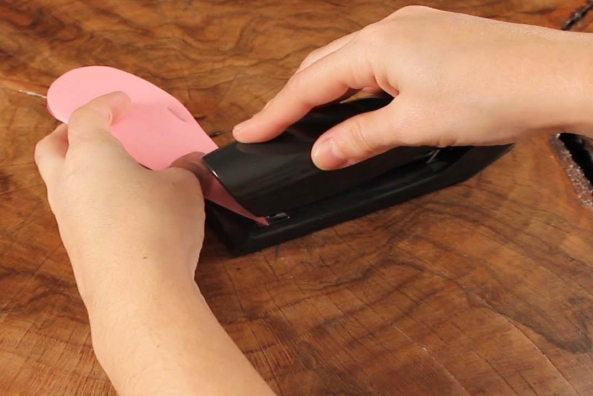 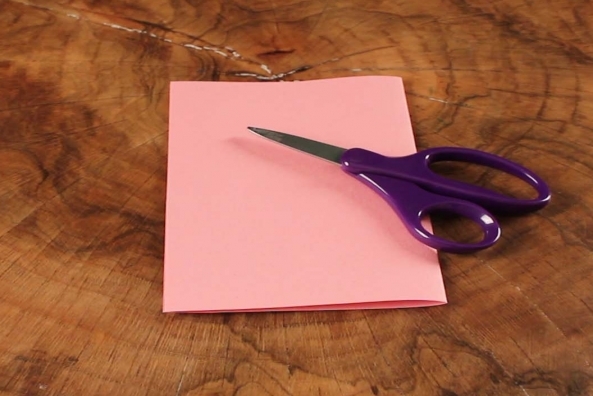 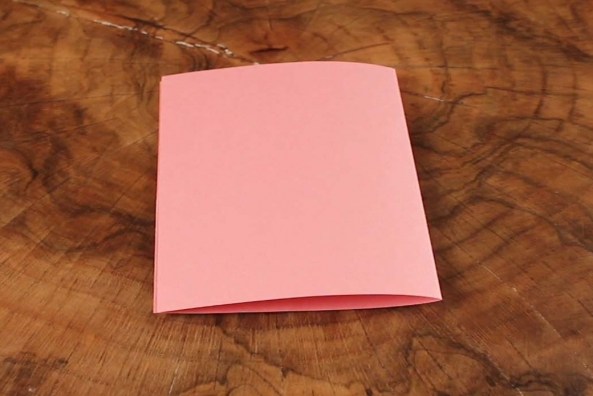 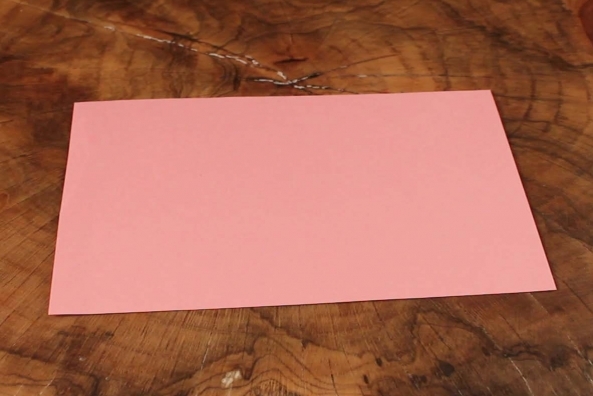 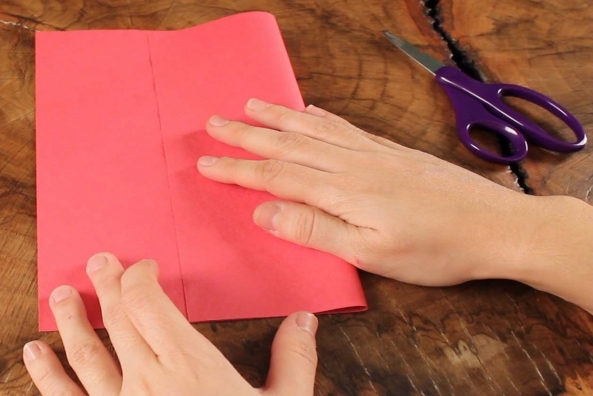 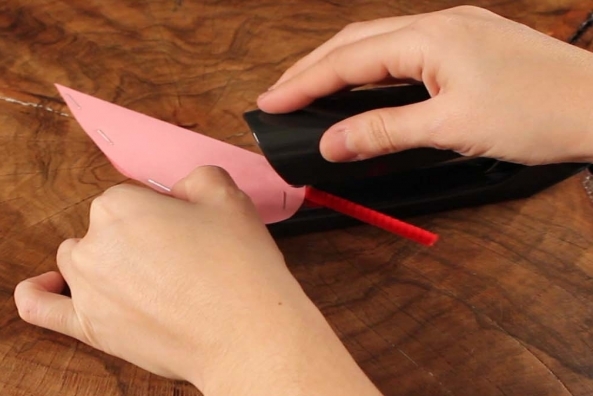 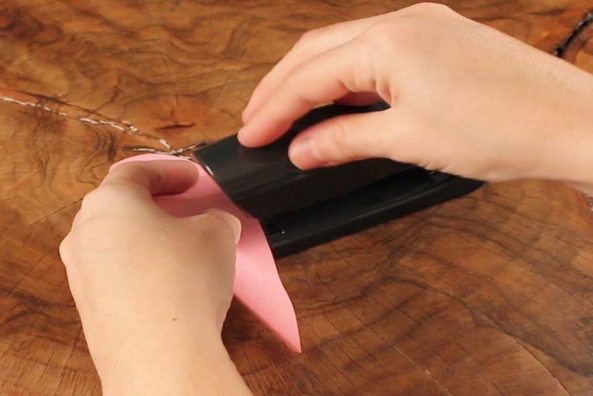 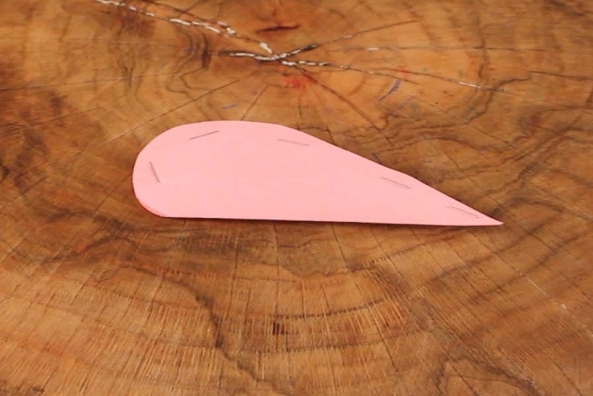 Fold a piece of pink construction paper in half. 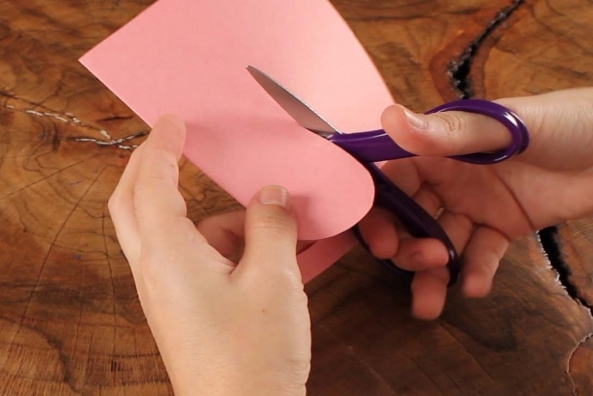 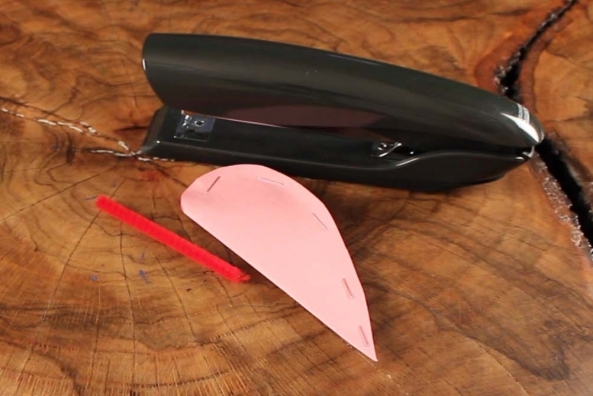 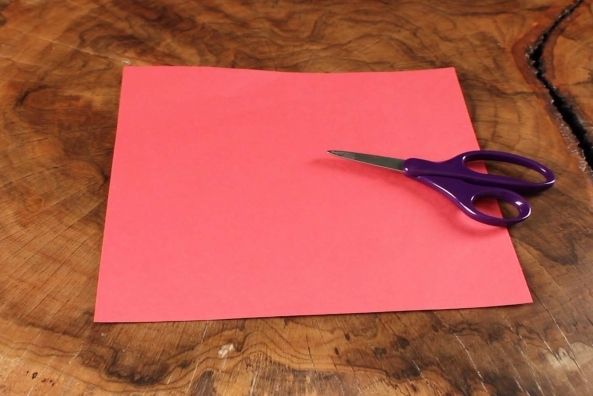 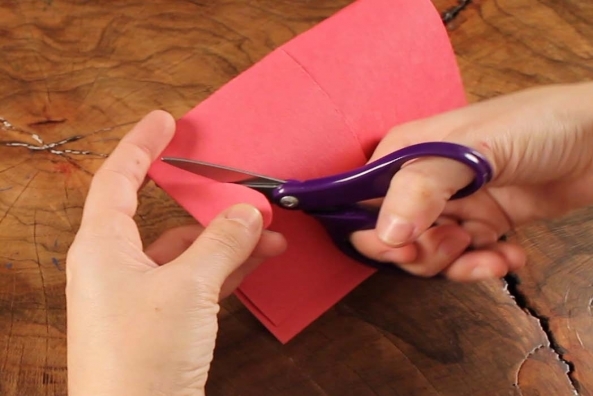 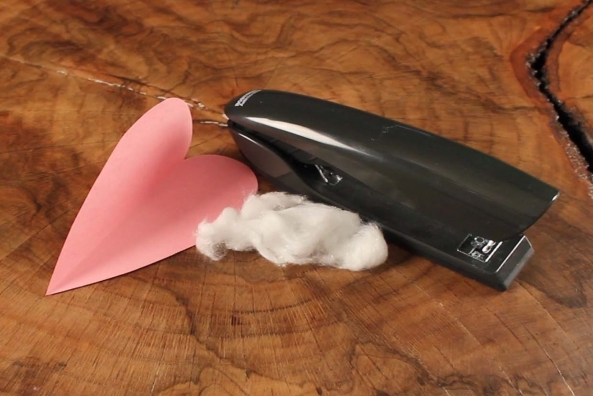 Cut out a heart shape by starting at a folded end of the paper and cutting a tear drop shape. 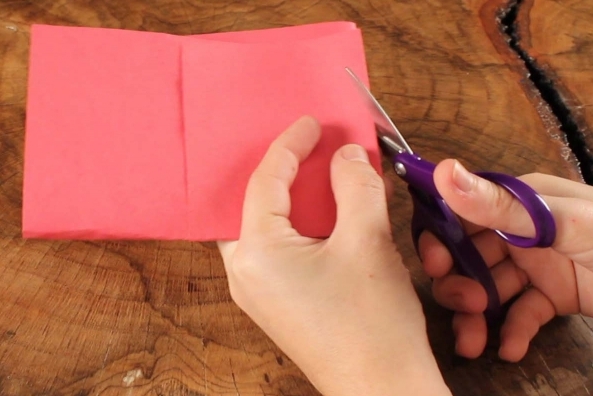 Careful not to cut the fold! 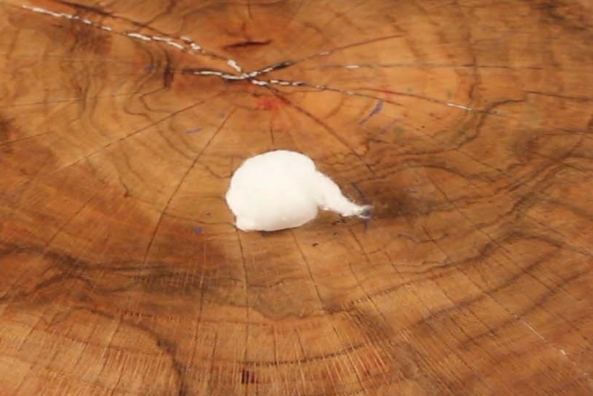 Stretch one cotton ball to loosen it up. 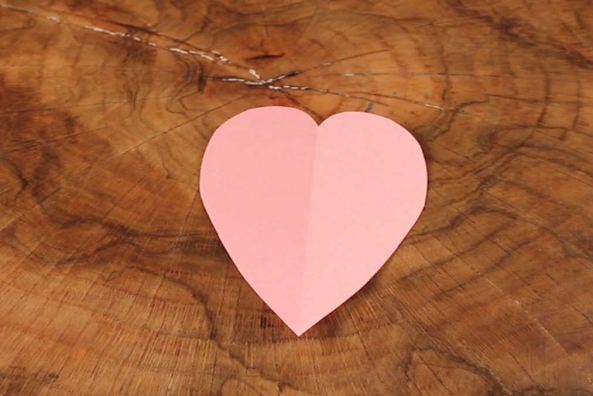 Place the cotton ball on the fold of your cut out heart and surround it with paper. 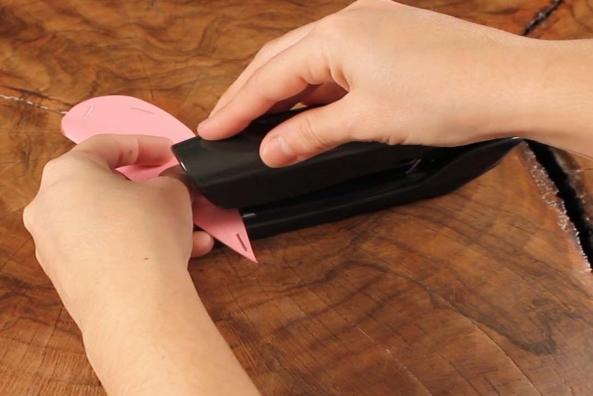 Staple it shut. 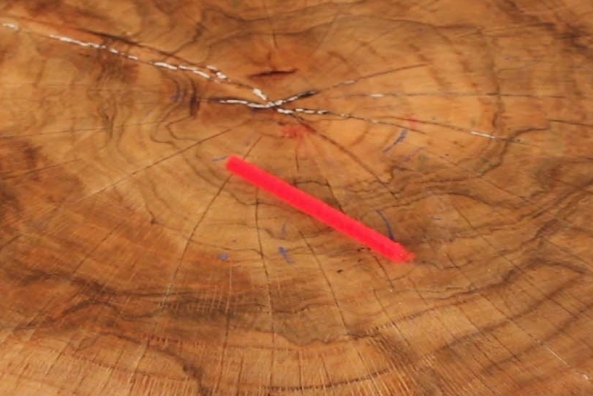 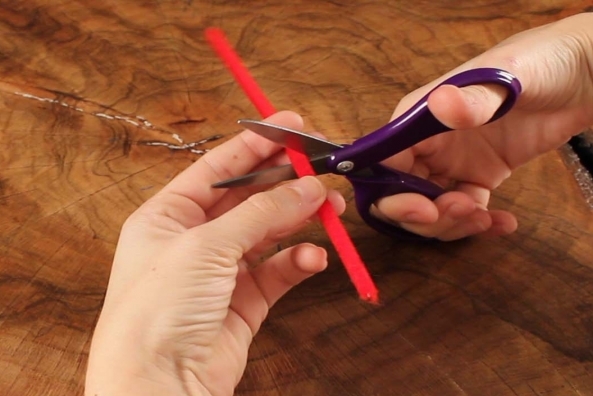 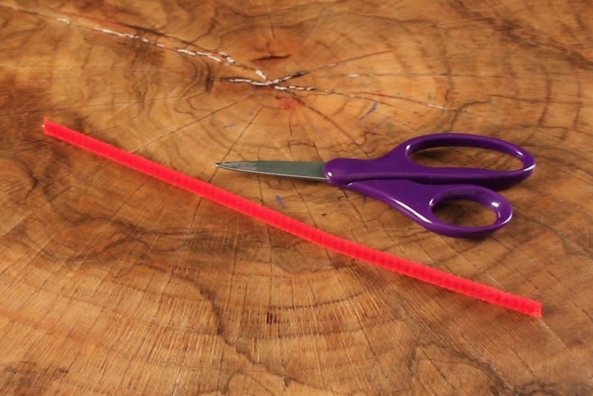 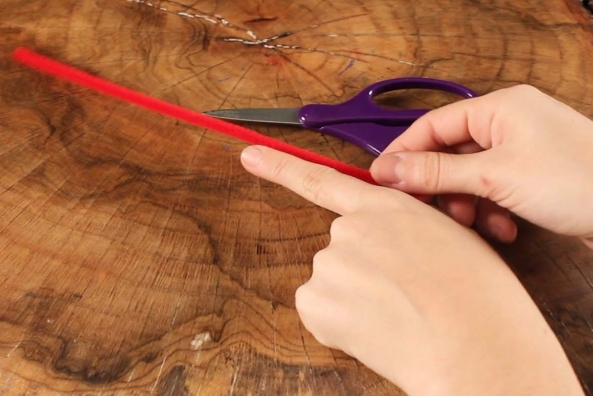 Cut a piece of red pipe cleaner around your finger’s length. 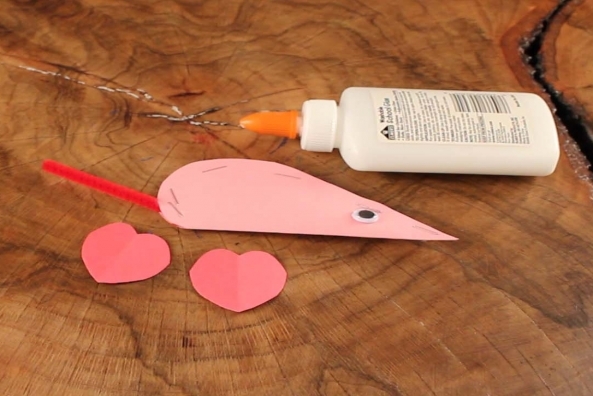 Place the pipe cleaner tale at the round part of the heart and staple it. 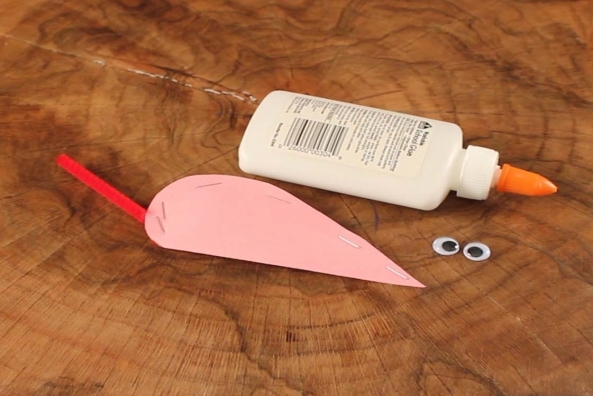 Glue a wiggly eye on both sides of the pointy end of the heart. 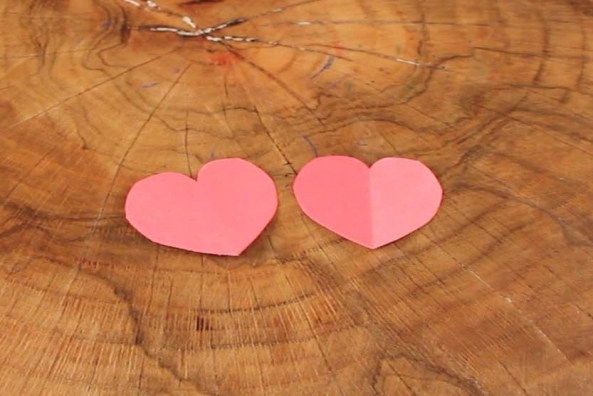 Cut out two hearts the size of a quarter from red construction paper. 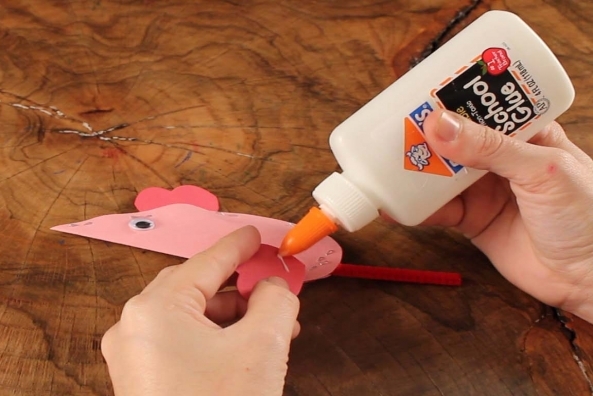 Glue a small heart on both sides of the mouse’s head.